Prior to meeting or working with Cheryl, I was able to observe her professionalism, diligence and commitment to providing extraordinary service as she worked to help a young couple purchase their first home. The situation was complicated and infused with unusual circumstances because the sellers lived out of country. I intently observed Cheryl’s working style as I watched my young friends experience the ups and downs of a unique real estate process. Cheryl communicated timely updates and kept the couple confident with their options. She tactfully managed the difficulties and successfully secured their home purchase. Cheryl is a competent and caring professional and I knew that I could put full trust in her as my realtor. Cheryl Fuss came highly recommended to myself and my girlfriend through family that either knew her or had her as their Realtor. Selling our home was something that we were interested in but not exactly sure when the time was right. We sought out Cheryl to come to our house, let her know what we were thinking and asked for advice. Selling our home was an emotional thought for Kristin as it was her grandparents home and a place where she made so many memories growing up. 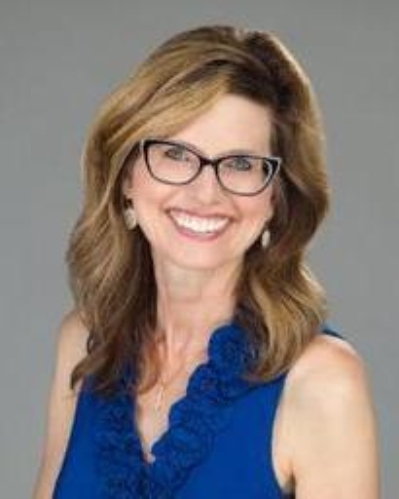 Cheryl was such a supportive person and she shared that emotion with us as if it was her home as well.Cheryl Fuss came highly recommended to myself and my girlfriend through family that either knew her or had her as their Realtor. Selling our home was something that we were interested in but not exactly sure when the time was right. We sought out Cheryl to come to our house, let her know what we were thinking and asked for advice. Selling our home was an emotional thought for Kristin as it was her grandparents home and a place where she made so many memories growing up. Cheryl was such a supportive person and she shared that emotion with us as if it was her home as well. We decided to put our trust in Cheryl once we were comfortable and ready to sell. She worked so hard for us, was completely honest and fought for what she knew we deserved. Once we put that For Sale sign out front, it wasn’t long until the showings had been scheduled and within 24 hours of it being on the market, we had accepted an offer. Our next home was a first for us as we decided to build new and Cheryl was an advocate for us when we were working with a couple of builders. She was able to put in her valuable opinion when we needed her most. We made no mistakes during the home selling/buying experience because we had an excellent Realtor in Cheryl. We are absolutely in love with our new house and we will always have gratitude towards Cheryl for being such a kind and hard working woman. If you yourself are in the market to buy and sell or even if you just need advice, I advise you to put your faith and trust into Cheryl just as we have and I promise you will not be disappointed. We thank you Cheryl from the bottom of our hearts for being such a kind soul and being such an important person in our experience with you. I decided to move to Lancaster County to be closer to my youngest daughter after the sudden passing of my husband. My daughter and her family moved into the area a few months earlier and loved it! She asked her mortgage specialist for a referral since the Realtor® she used had recently retired. My daughter trusted her mortgage specialist and knew she would steer her in the right direction. She suggested Cheryl Fuss and my daughter called right away. Cheryl immediately called back. They set up an appointment for a week later. The most important criteria for my new home was it needed to be close to my daughter's. Cheryl entered our specifications into her computer and the same night printed out five houses that met our criteria. My daughter and her husband decided that two of the homes were worth seeing. Based on photos only, my daughter and her husband thought one of them was perfect. I did not have a computer or internet access so Cheryl immediately mailed me copies of the homes' information. I agreed with my daughter. The house was perfect. A week later, my daughter picked me up in Philadelphia and we walked through the home with Cheryl. It was exactly what we were looking for. Cheryl looked up current listings and recently sold homes and helped me put together a bid that was quickly accepted by the sellers. During the entire home buying process, Cheryl was only a phone call away. She answered calls and e-mails the same day and truly cared about me and my family. At settlement, Cheryl gave me a beautiful framed picture of my new home which I prominently displayed in the foyer of my home. Even after we settled in, Cheryl checked in to see how we were doing. If you are looking for a Realtor® who really cares about your home buying needs, go no further. Let Cheryl "Fuss" over you too. When we moved to the area, we weren’t sure how to find a real estate agent, other than looking at websites. That didn’t tell us much about what kind of service we’d get from someone. Then an old friend recommended Cheryl. From our first meeting with Cheryl, I knew my husband, Spencer, and I had found a competent, caring professional. What I didn’t know, but would learn in the weeks ahead, is that Cheryl would not only be competent and caring, but she often went over and above what we would have expected in her commitment to help us find a house. I especially appreciated her promptness in getting back to us whenever we needed help, had a question, or wanted more information about something. I never had to wonder when we might hear back – it was rarely more than a few hours. I sometimes felt like we were her only clients, even though I knew she had many, many more – that’s the kind of attention Cheryl gave us. Finally, I appreciated Cheryl’s cheerful and upbeat spirit – even when things were tough for us at various points in the process, she stayed positive and focused. We’re thankful to Cheryl for making our home buying experience a rewarding one. I hope I get to recommend her to others many times over the next months and years. Cheryl is a great Realtor® and was very helpful in the process of buying my first house. She always responded quickly to questions and concerns and had genuine concern for me as a buyer. Even though we had a setback (mortgage issue) that delayed settlement, Cheryl kept me updated on the situation and worked with the lender to get the matter resolved quickly. Everything worked out great. I highly recommend her. We wanted to say "thank you" to Cheryl for helping us with the purchase of our new home--we love it! We greatly appreciated her availability to answer any questions or concerns in a timely manner. She also informed us of any problems or issues that arose along the way and offered suggestions. We wanted to also say "thanks" for the opportunity to meet with our builder when it was necessary. The one thing I especially liked was that Cheryl and I had a pre-existing friendship which was a great addition to our working relationship. She went out of her way to make things as smooth as possible. We greatly appreciated that! In the Spring we contacted Cheryl Fuss to sell our home so that we could purchase a new home in Mount Joy. Cheryl worked tirelessly to find us the right buyer for our home. The new home we wanted sold in the meantime. We were discouraged, but Cheryl never waivered in her enthusiasm and assurance that the right person would come along to buy our home. Even as our contract period was about to expire, Cheryl encouraged us to extend for two weeks, as there was some new interest in our home. There was another new home available in the same Mount Joy development, the same style as the other home that sold. Cheryl was positive that our home would sell in those two weeks and that this home would be ours. In that time we did receive an agreement. Our home was sold, and were able to purchase our dream home. Cheryl was with us every step of the way, coordinating settlement on our old home and our new home for the same day. Cheryl is not only an excellent Realtor®, she is a wonderful friend. Ever cheerful, encouraging and understanding, always positive, and ever patient explaining each detail as we went along. We would recommend her to anyone interested in selling and/or buying a home. She will get the job done. Cheryl was great from day one. She has a great personality and was excited for us. Very professional and courteous, and she is very genuine. From her little gifts to her bubbly personality, she was a great person to choose and glad we did. We just wanted to say thanks for making the experience of buying a home so exciting. Thanks for all of your hard work. We met Cheryl Fuss on a chance encounter at an open house. Cheryl's quiet demeanor and extensive real estate knowledge led us to choose her as our agent. We were living out of state so her help with guiding us through the Pennsylvania market was invaluable. She was readily available whenever we were able to come up and view real estate. When we finally chose a property, Cheryl was very thorough with our paperwork and even discovered some mistakes in the seller's numbers. Cheryl is a very competent agent that is right with you every step of the way. She has continued to offer help even after our closing, guiding us to services we might need around Lancaster County. We highly recommend her as an agent. She made our transition from New Jersey to Pennsylvania effortless! Working with Cheryl has been a great pleasure for us. We were selling and buying a home and from day one we could tell that she really cared about what we wanted. She gave us ideas of what to do to get our house ready to sell. Let me just tell you that it must have worked because we had an agreement in 5 short days. Of course then we needed to find a home, she was always available when we wanted to look at a house. She is very friendly and caring even when we felt like we were wasting her time when we would get to a house and would just hate it. Even though we would get frustrated she would always smile and assure us there is a house out there for us. Sure enough we found it. She made sure everything went smoothly and we had no need to worry about a thing. We do not have one complaint about her. She really knows what she is talking about and really cares about her work. If we ever move again we would definitely use her as our Realtor® again! being treated like a friend. Now that we have settled into our new home, we have enjoyed the fireworks and sunsets from our back deck. We would definitely recommend Cheryl to anyone who has a real estate need. We recently purchased a new home at Summer Breeze and sold a home in Manheim Township. We were fortunate to have Cheryl assist us with both transactions. We found Cheryl to be friendly, knowledgeable, and well-prepared. Thanks to Cheryl, a potentially stressful time in our lives went smoothly. She served as both a Realtor® and friend during an important time in our lives. Cheryl was always accessible, cheerful, and willing to go the extra mile to make sure everything went well. We highly recommend Cheryl to anyone interested in buying or selling a home. Cheryl Fuss exceeded our expectations in the sale of our home and in the purchase of another. She is very knowledgeable and easy to reach. Cheryl is a very genuine person and an outstanding Realtor®. She puts her "all" in her work and that quality is difficult to find. One can tell she enjoys her line of work. 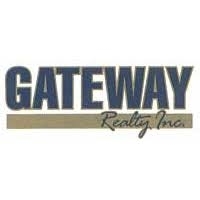 She is an asset to Gateway Realty. Also, the little things she does for her clients, such as sending them new address labels and holiday cards. To me, that says Cheryl Fuss is appreciative to her clients and that she thinks of them. Cheryl Fuss earns an A+ from us. We highly recommend her. What we like most about Cheryl as our Realtor® is that she always has a smile and is very friendly. She was always there even after her job was done with selling our house. She always made herself available for any questions we had about our house. Now we are looking to buy a house and we wouldn't think of hiring anyone else to be our Realtor®. We appreciate her honesty and compassion. She stays in close contact through the process, and that is very important to us. We would highly recommend Cheryl to anyone who is looking for a Realtor®. Cheryl was always there for me via email, cell phone and phone. Cheryl was always ready to answer my questions and always responded quickly. This was the first time I had sold a house (and closed on a new one on the same day!). Cheryl was so helpful in advising me on all that goes into it. I feel like I couldn't have done it all without her! I would want Cheryl to help me in the future because everything went so well this time that I would put my trust in her the next time. I will recommend Cheryl to other people - I think she is great! We have been blessed to know Cheryl Fuss and certainly could not have purchased our home without her. She is always well prepared and is determined to find the right property for her clients. Cheryl doesn't quit! Her graciousness and patience are some of her best assets. She is an excellent problem solver with a real ability for putting the right people together to accomplish the task. Because of her abilities and pleasant personality, we do not hesitate to recommend her. Should we ever be in the market for another house, Cheryl will be our Realtor®. Cheryl Fuss was one of the most caring Realtors® we have ever worked with. She was always available when we needed her, and she showed exceptional professionalism in dealing with the sale of our property. We highly recommend her to anyone who is buying or selling their home. She will always put your needs and wants before anything else!" Our experience with Cheryl Fuss as our Realtor® has been excellent. In trying to decide the best place to relocate Cheryl was very patient and helpful, showing us any and all places we wished to see, even when it meant traipsing through new construction in mud and cold wet weather. When we made a decision about where we wanted to live, she guided us through everything that needed to be done, answering all our questions. Her friendly, cheerful personality and knowledge of the area made moving from another state much easier than we had expected it to be. We would certainly recommend Cheryl to anyone looking for a Realtor® who knows how to get the job done, and does it with a smile. I have known Cheryl Fuss for many years and she has proven to be detail-oriented and enthusiastic. She takes her clients under her wings and guides them through the agreement to settlement process with energy and confidence. I would recommend her to anyone wanting to buy/sell a home. Now that I have things pretty well organized in my new home I wanted to thank you for the information you sent me on services in Rapho Township. It was a big help for me getting the services I needed. You were a big help from day one. With your help I got the exact location I wanted for my home, the few little changes I wanted to make in the home and all with no hassle. I think I told you, this is the third house I had built and with your help and the cooperation of Roger and his people I can truthfully say I have absolutely no complaints and above all else I can't find a single thing that was not done correctly. I can't say that about any of the other homes I had built. Because of your help along with that from the Burkholder team and the people at Gateway Realty , I am really enjoying my new home. Thanks for all your efforts; I'm glad I took the plunge. We recently relocated from Greenville, South Carolina to Strasburg, PA. It was a long process and quite a change. Cheryl was familiar with the region and could give us good advice on the communities according to our family's needs. During the house hunting process, she kept us informed on the new listings in these areas. We would highly recommend her both as a listing agent and a buyer's agent. Cheryl was incredibly effective in assisting us during our home search. I would highly recommend her services, especially because of her integrity and unique ability to serve clients in an extremely professional manner--unfortunately, it is rare to see this caliber of service in any industry today. Cheryl was our first Realtor®,and we hope to only be so lucky again should we need to move for work-related reasons. We have no complaints and thought Cheryl was very professional about the entire process, yet very easy to work with/talk to. Cheryl is the perfect Realtor for new homeowners. Cheryl is the agent that everyone can ever wish for. She is super nice, informative, organized and artistic, honest and professional. She went above and beyond for us and at the end she not only became our agent but also a friend. Way to go, Cheryl!!!!!!! !